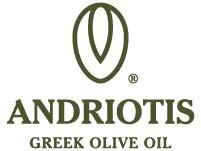 Andriotis is a family business that specializes in the collection, sorting and trading of olive oil for over 50 years. Our long history, expertise and highly trained personnel, as well as the use of the latest technology in all collection and processing stages, have established our business as a reference point in the trade of premium quality olive oil. In the recent years Andriotis has, either directly or through local partners, achieved to collect and distribute olive oil from the entire Greek territory. The company’s headquarters is located on the island of Corfu.